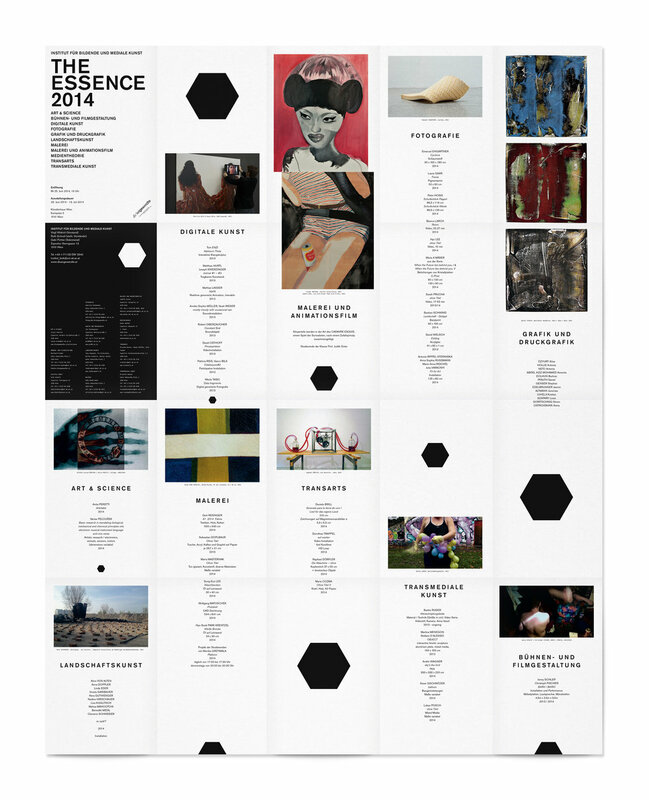 We got invited to design a poster for the end of year show of the University of Applied Arts Vienna. The exhibiton architecture was in the shape of a hexagon. We ended up creating an A1+ fold down poster that is both poster and flyer at the same time.